Dreaming of Romance in This Modern Area? You're Dreaming of Poetically Brushed. 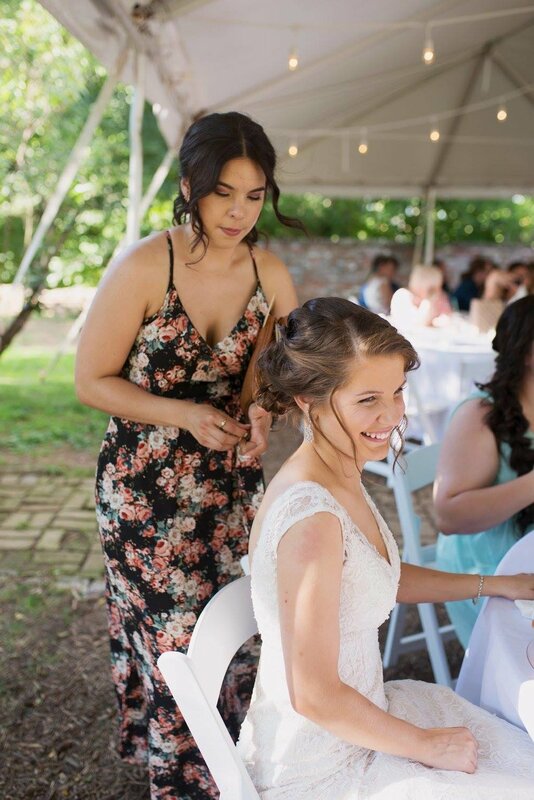 Professional Bridal Hair and Makeup serving the DC, Maryland, Pennsylvania, Virginia, and West Virginia. Hi, I am Kimberly Grubbs, and I am the owner of Poetically Brushed LLC. I have been blessed with the opportunity of running my small company for going on four years now! I have been a licensed cosmetologist for 6 years. And believe it or not, married for 6 as well. That's when I realized how much my own industry lacked in creating these Beautiful, Dreamy, and Timeless looks for brides. And so from there, we now have Poetically Brushed. We work on location for brides and their entire party. Depending on how many services you and your ladies need (gentlemen are welcome too), you can expect for me to show up with a few of my main ladies. These ladies are stylists and assistants, and are brilliant! Their work is heavily involved in the Poetically Brushed portfolio so you may have complete peace of mind. We design your day over a five hours timeline, no matter how small or large your party is, we will be done by that five hours mark. Depending on the number of services you need, a lot of time your timeline is shortened! If you worried about your hair falling due to humidity, or needing your makeup touched up due to some wicked dance moves to come, we also offer the choice of staying onsite. I work exclusively with my brides, and am the only person who will style you from coffee, to mimosa, until we apply your lip color of choice! Poetically Brushed believes in the romance that each brides seeks for her beautiful day. 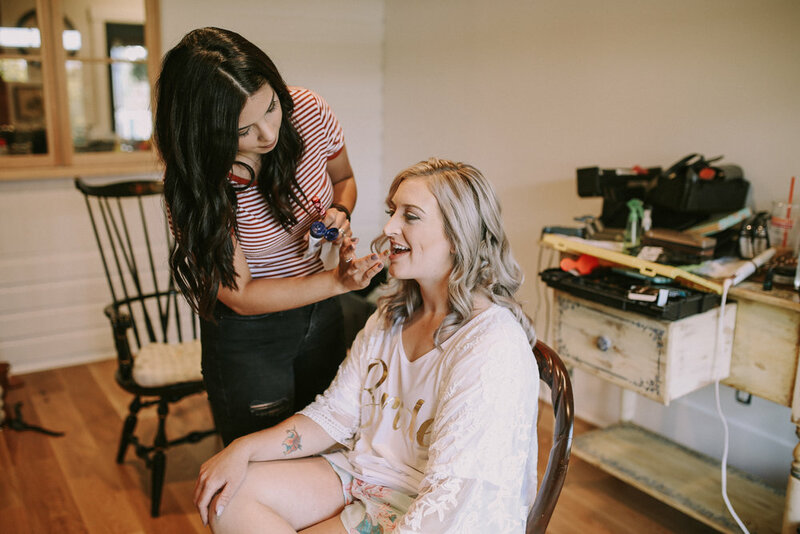 From the first message, to our trial run, emails and contract discussions which follow, maybe even a phone call or two, until we finally reach your wedding day, I only strive for you to be happy, feel confident and completely beautiful as Yourself! There is nothing that is as wonderful as seeing you glow! It would be our pleasure to work with you, we don't take it lightly at all. So please, invest in yourself, be Poetically Brushed.